Why do some adoptees think it is their inalienable human right to know their true identity while others seemingly don’t care? Boiling water softens a potato and hardens an egg. When we find ourselves in hot water, and in danger of being criticized or punished, our “flight or fight” response is triggered. Our reactions to fear either harden or soften our chances of survival. Adoptees who fear confrontation react by withdrawing and escaping into isolation, darkness, and oblivion (flight). They are unwilling to play detective or rock the boat because they are afraid of the consequences. Other adoptees strive for validity, genuineness, truthfulness, and open communication. They are highly motivated to solve the mysteries of their origin and discover their true identity (fight). 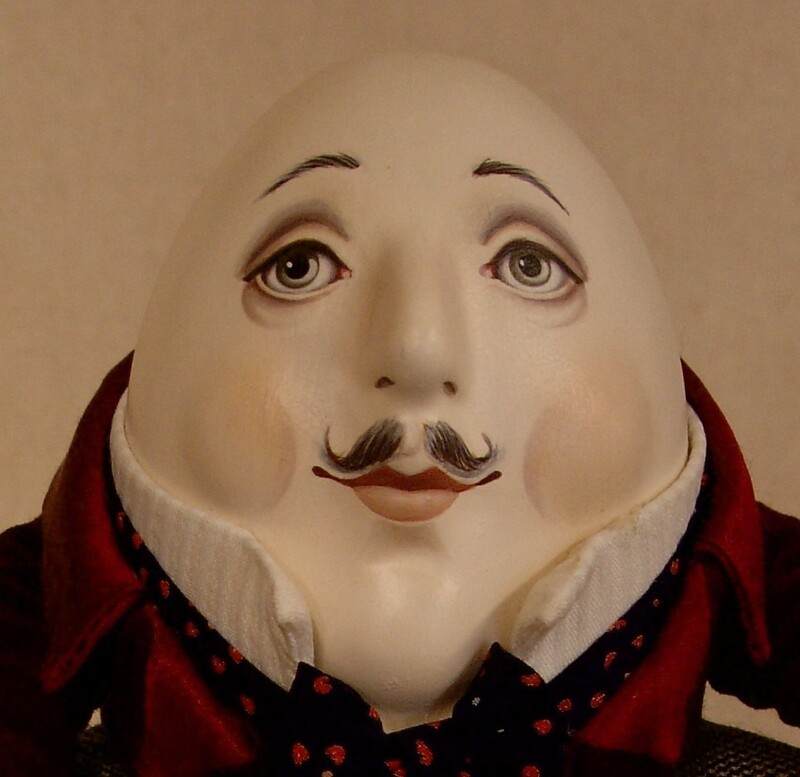 An egghead is a professor, virtuoso, whiz, or brainy scholar intellectually gifted in the field of academics. Eggheads are hardened by the adoption experience. They have an emotional need for a curative and emotional breakthrough reality that will finally make sense of their disrupted life stories. They possess a nostalgic spirit and a wistful sense of homesickness. Awkwardly suspended in a bewildered state of confusion, they restlessly long for an intimate view of days gone by. They seek verity and a genuine sense of legitimacy. They have a natural curiosity about the past and a strong desire to reconnect with missing family members. Separation from their ancestral roots increases their passions and strengthens their desire to reconnect with the lost. Reality doesn’t scare them because they believe in self-determination. They are empowered to fight against injustices and correct previous wrongs. They seek wisdom, honesty, truthfulness, validity, mutual consent, reconciliation, and positive connections; while abhorring deceit and vagueness. They are hardened by the daunting challenges of initiating a quest for self-discovery by rummaging through historical documents, interviewing strangers, cultivating an historical literacy, and the difficult task of building a family tree. They possess an innate psychological drive that motivates them to validate all facts, and reject falsehoods and unsubstantiated legends. They are motivated by an innate sense of destiny and driven by a belief that the most worthy and noble course of action in life is to solve the mysteries of their origin. They want to know why their life’s trajectory has been so radically altered and they willingly fight for what is inherently theirs—a true self-identity. Seeking reality, genuineness, and truthfulness in all things, they are naturally drawn to individuals who seem “intuitively familiar” and they have a sentimental sense of forgiveness toward those who have trespassed against them. “How precious! Oh and look! She has your nose!” Mr. Potato Head is an American toy consisting of a plastic model of a potato with replaceable ears, eyes, shoes, a hat, a nose, and a mouth. Which kind of adoptee are you—a softened potato head or a hardboiled egghead? This entry was posted in Adoption, Children, Life, Parenting and tagged ADOPTION, Adoption Detective, Adoption Search, Egghead, Judith Land, Potatohead. Bookmark the permalink. 33 Responses to Adoption—Are you an egghead or a potato head? I think I’m a Cadbury chocolate creme egg. Janice: Good response! Softboiled and in the closet! Laughter is integral to the healing process. When we don’t feel like laughing is when we need it the most. Play heals the body; laughter heals the mind and joy heals the spirit. Finding humor in response to a situation that gives us pain is a skill that is nothing to laugh at. Everyone encounters moral dilemmas in their lives. We all struggle to make the appropriate choices. It is a fact of life that we don’t always make the best decisions. That’s why adoption causes so much hand-wringing, second-guessing, self-doubts and insecurities. For all these reasons, it is normal to continually reassess, reconsider, and second-guess the consequences of adoption in response to changing conditions and altered circumstances. Giving someone the gift of a second chance in life is a blessing and a profound act of kindness that is often an essential step for finding peace and a happy life. Neither of course because I refuse to be categorised! Eagoodlife: You are wise. Categorization is the act of sorting, classifying and compartmentization. Taxonomy is the branch of science that is concerned with the classification of things based on shared characteristics. Categorization is useful for understanding scientific, economic and social statistics in nearly every profession, but human categorizing can easily be perceived as a cultural form of bias, stereotyping and prejudice. Even when poking fun at someone, we should never assume to “know” them because they are a member of a certain class, organization or category. Interesting read Judith. I find myself shifting and swaying between egghead and potato head. More strongly an egghead, but any hint of rejection from birth relatives (real or imagined) and I’m mashed potato. Junebug: It is natural for adoptive parents to feel jealous and rejected if their child expresses an interest in knowing their true identity. They may view this action selfishly and perceive it as self-serving, ungrateful and disloyal. The fear of hurting their adoptive parents feelings by acting without their support and approval is a major constraint to adoptees seeking answers to the reasons for the unexplained deviation in their life’s trajectory. I like your “mashed potatoes” comment. When we find something funny in life it is because we have discovered the hidden truth. Humor enriches our lives, reduces stress, and helps us see the lighter side of things. Moments of fun expose an endless kaleidoscope of possibilities. If anyone else out there feel like a french fry, a double baked potato with bacon, a sweet potato curly fry, a fried onion ring, a potato salad, an au gratin casserole with cheese, or a salty potato chip, I would love to hear from them. Interesting idea — as an adoptive mom (and genealogist), I found both my kids’ biological mothers, established relationships with the one who want a relationship, and at least located the other biological mother “in case.” But both my kids have no interest in establishing any relationship with their biological mothers even though I have emphasized how important I think it is. So, I have the relationships which, at least for me, are comforting and full of blessings. The only quibble I may have with your categories are the negative connotations with adoption and adoptive families — you and I may disagree about whether adoption in and of itself is a good thing (and boy could I go on about that), but I really believe that I have been upfront and honest with my kids. In fact, having met their biological families and lived close to them, I think they are not at all delusional about their current relationships or their biological ones. No, we are not their “biological family,” but not all biological families are great either. In fact I would argue that many of us who have a biological family would have preferred a different one. But overall, interesting thoughts and ideas about how adoptees look at adoption — thanks for the interesting post! Thanks for making the world a better place for your family and everyone around you. You are a virtuous parent because you seek only goodness and what is best for your children. You have the ability to understand and validate the profound and the skill to encourage love to grow. Hard boiled egghead. Without a doubt. Good for you! I also know a few Eggs Benedicts, Huevos Rancheros, mushroom cheese omelettes and a soufflé. Incredibly patronizing. A failure to share YOUR experience does not mean somebody is weak or lacks curiosity. It doesn’t mean they’re afraid. It’s incredibly presumptous to degrade the experiences of others. You’re entitled to your own story, not to judging the stories of others. Nicely put and so true. Yes, I agree as well. Did it ever occur to the author that adoptees might innately have a fear of rejection? And that contacting birth family (who have already rejected you once) might be less than completely worth it? Totally slanted article. I don’t find it fun, despite the author’s lighthearted remarks. I am OK the way I am, and so are the rest of you in the same predicament. We’re OK.
Robin Red: When we find something funny in life it is because we have discovered the hidden truth. Humor enriches our lives, reduces stress, and helps us see the lighter side of things. Life is stressful for many adoptees, a series of obstacles and mental stress they need to constantly overcome. Becoming obsessed with the mundane, worrying about every plight and every wrongdoing, stressing about the uncontrollable leads us to the road to Abilene. Getting irritated when things don’t go your way brings us down. Holding grudges is like drinking poison. Having contempt for others is a recipe for solitude. Stressing about things that can’t be changed is a waste of time. When we can’t adjust to change, we aren’t living correctly. Planning for a life that doesn’t exist is like refusing to live at all. To live a happy life, we need to admit our flaws, learn to live in the moment, learn to say we are sorry. Most of us know from experience that having a sense of humor about things can make life a little easier—and there’s plenty of science literature to back that up. Being able to laugh at yourself is a sign of an optimistic personality, a sense of humor, peace, freedom, and the basis of a happy life. Thanks for commenting. Social atititudes about adoption and adoption issues have evolved over time. One of the greatest changes took place with the release of the novel “Roots: The Saga of an American Family” written by Alex Haley. His book led to a cultural sensation in the United States in the 1970s and is considered one of the most important U.S. works of the twentieth century. His story stimulated tremendous interest in genealogy and appreciation for African-American history. Story telling, sharing of experiences, and expressing our feelings to others is ultimately how we learn. Geneolgy is of great interest to some of us and boring to others for a variety of reasons. There are hundreds of varieties of potatoes, ways of preparing eggs, and an endless number of opinions about life. Each character in every story is unique, and I respect that fact. With due respect, did the author think we would not know about “Roots?” Though Alex Haley had a hard time finding his roots, at least there were not the legal boundaries adoptees face. So, somewhat similar but not exactly. IMHO. I grew up a potato head, or so I thought. However I believe an “egg head” was always there and I cant imagine it not being deep down within every adoptee. I must say, I know it is difficult to face, to acknowledge as an adoptive parent that we, adoptees no matter how loved or full our life has been will always have a hole within our hearts that only the birth family can fill in whatever way that happens to be or to what extent may differ, but they hold that key. Ive always said, adoption wasn’t part of Gods perfect plan, it was a provision just as it was for Moses. Michelle: Well said. Destiny is not always preordained. Life is about making choices. Our lives are the sum of all the choices we make, the bridges we cross, and the ones we burn. Our souls cast long shadows over many people, even after we are gone. Fate, luck, and providence are the consequence of our freedom of choice, not the determinants. When justice is served by following our principles, making good decisions brings us inner peace. I think most adoptees would prefer not to be viewed as permanent children in need of lifelong supervision and protection. They eventually grow to be responsible, mature adults, fully capable of making their own decisions about search and reunion. Adoptees with an emotional need for a curative and breakthrough reality that would finally make sense out of their disrupted life stories prefer to be treated equally with all citizens, and not have their true identity hidden from them when it comes to a desire for self-determination. I thought I posted a reply to this either here or on Facebook Sunday but I don’t see it. I’ll try to recapture it now. First off, thank you, your blog post has encouraged me to start blogging myself. Building on your metaphors, I’d say I’m a boiled egg and potato salad– broken in pieces and tossed in mayo! The mayo, by the way, is my metaphor for the cried and uncried tears in my adoption experience. Thanks again for helping me get started. And here’s to the healing power of humour! However messy and troublesome, I hope the recipe that is me ends up tasting good! Right now the jury’s out and the cook’s still in the kitchen! Karine: Broken in pieces and tossed in mayo (tears). Wow! You must be a strong person. I am glad to know the cook is still in the kitchen. When a true self-identity is lacking many wanders and seekers become prone to falling through the trapdoor of despondency. Lacking energy and focus, they may have trouble maintaining concentration, spontaneity, and interest in life. Many adoptees hearts are as brittle as glass, and when shattered, they are at of risk of being left alone to pick up all the pieces in solitude from here on after. When a true self-identity is lacking many wanders and seekers become prone to falling through the trapdoor of despondency. Lacking energy and focus, they may have trouble maintaining concentration, spontaneity, and interest in life. Many adoptees hearts are as brittle as glass, and when shattered, they are at of risk of being left alone to pick up all the pieces in solitude from here on after. And to it having shattered some time in adolescence. I wasn’t fully aware of what was eating me back then but your description of falling through the trap door of despondency–the lack of energy, and the sheer impossibility of maintaining spontaneity and focus–that fits me to a tee. I am, however, thankfully, not alone in my efforts to pick up the pieces, melt them and reshape, and reforge them into a stronger, wiser, more enduring and more compassionate heart. Indeed, I could never do this work alone. I don’t believe anyone can. We each need an enlightened witness–someone to light a lamp and show the way, and we need our fellow travellers along the way to laugh and cry and cry and laugh about it all. As I like to say, after all: Life is Buddhaful! So, choose life! I agree about needing an enlightened witness. Sharing my thoughts and emotions about my adoption search with my husband was therapy for me. He was the sole person aware of my plight and veiled inner turmoil, but only God could provide relief from the enormous internal pressures that were compressing and suffocating my soul. An eternal flame inside me ignited my passions and illuminated my path. When I set out to find my roots and discover my true identity, I chose to lead and walk alone because there was no one to follow or guide me, and when I was in my lowest emotional states of mind and there was no one there to help me overcome distress or discouragement, I found it therapeutic to direct my accepted wisdom to God. Here are some interesting metaphors for the adoption experience–being boiled in water–and adoptees’ responses or reactions to that experience. We adoptees may be potatoes or eggs. Neither foodstuff on its own fully captures my experience, however. Rather, I’d describe myself as a boiled egg and potato salad, broken in pieces and tossed in mayo! The mayo, by the way, is my metaphor for the cried and uncried tears of my adoption experience. Enough with the food metaphors already! I’m feeling hungry and it’s time for bed. I hope you enjoy this little appetiser!